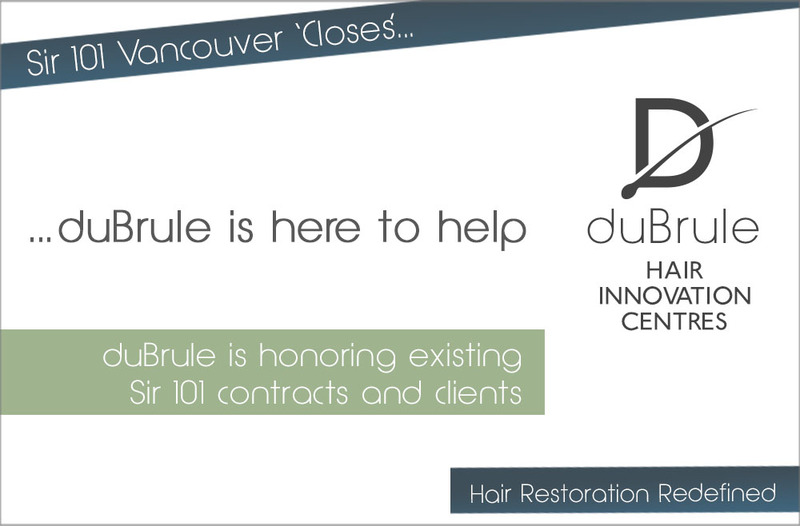 We at duBrule Hair Innovation Centres want to extend our sympathy over the recent closure of their centre in Vancouver. We understand how you must feel and how this situation would create much angst and uncertainty. We would like to extend an offer to help ease the transition and will honor any and all existing contracts with Sir101 as well as no start up fees. We will do our best for you if you have been waiting for your systems in production. DuBrule has been in business for 50 years in Vancouver and has additional locations in Victoria and Calgary. We are recognized for our exceptional service and world class hair systems. We look forward to making this a smooth and seamless experience for you.